What might parliament do with the Article 50 bill? On 24 January the Supreme Court ruled that the government requires parliament’s consent to trigger Article 50 of the EU Treaty and hence begin formally negotiating Brexit. This requires a bill, and the government responded with the European Union (Notification of Withdrawal) Bill – on which debates in the Commons begin today. Meg Russell asks how parliament could respond to the bill – both procedurally, and in terms of the political dilemmas facing members. In the form it was introduced, the European Union (Notification of Withdrawal) Bill is a very short and simple measure. With just two clauses, it authorises the government to ‘notify, under Article 50(2) of the Treaty on European Union, the United Kingdom’s intention to withdraw from the EU’, stating that this is notwithstanding the 1972 European Communities Act or any other existing statute. Yet its simplicity clearly belies its importance; the decision to trigger Article 50, following the Leave vote in last June’s referendum, has potentially huge ramifications for both the UK’s politics and its economic future. It is well-known that a majority of MPs, and probably an even higher proportion of peers, supported Remain in the referendum. The government’s original starting point was that parliamentary approval of this kind was neither desirable nor necessary. Now that the bill has been published, its passage could present significant political challenges, for government and parliamentarians alike. This post focuses primarily on the procedural aspects. What are the stages through which the bill will have to pass, and where do the potential obstacles lie? The post focuses in particular on the immediate Commons stages. Having indicated the key steps, it moves on to discuss MPs’ representational dilemmas, and how these could play out. Finally, it provides some brief reflections on the bill’s likely reception in the Lords. The timetable for the bill in the Commons was set out by David Lidington, Leader of the House of Commons, on Thursday 26 January. Its second reading stage is due to take place on Tuesday and Wednesday this week, with debate today able to last up to midnight. It is then proposed to spend three days in committee, on the floor of the House of Commons, next week, after which it will quickly receive a third reading and (if approved) pass to the House of Lords. The second reading of a bill is the main opportunity to discuss its general principles. There is no opportunity to agree amendments to the bill at this stage. A two-day second reading is relatively unusual, and signifies the political importance, and level of interest, in this bill. Speeches from MPs in the second reading debate – of which there will be many – provide an important opportunity to sense the political mood. The importance of the bill may be signalled by the Prime Minister herself opening the second reading debate, with an initial response from Leader of the Opposition Jeremy Corbyn. Most of the time will be taken up by backbench speeches, which will indicate how much support, or how much dissent, there is in both main parties – and where the biggest concerns lie. Concerns are bound to be expressed from other parties – particularly the SNP and Liberal Democrats. At the end of the two days there will be an opportunity to vote on whether the bill should be granted its second reading, and therefore pass to the next stages. If a second reading is denied, the bill will die. This outcome is unlikely, due not only to the government’s majority, but also to the Labour frontbench’s position of supporting the bill, and imposing a three line whip. An opposition will often whip against the second reading of a government bill, or else propose a ‘reasoned amendment’ to the motion agreeing the second reading, which sets out its concerns about the bill. In this case, the Labour opposition is doing neither. Nonetheless, several other groups (including the SNP, Liberal Democrats, Labour backbenchers and minor party representatives) have proposed different reasoned amendments. The Speaker will choose a maximum of one of these to be put to the vote. This provides the first opportunity for objections to the bill to be expressed in the division lobbies. If the selected reasoned amendment were agreed to, the bill would fall. If it is disagreed to, the House moves directly to the vote on second reading itself. At the end of second reading there is another decision to be taken, on the ‘programme motion’ for the bill. This sets out the government’s proposed three days for the bill in committee, and additional two hours for the third reading debate. No separate time is set aside for debating the programme motion, and there is no opportunity for MPs to move amendments – for example to extend the number of days for the committee stage. Given that 83 pages of amendments had already been proposed to the bill by this morning, and many more are probably on the way before the committee stage begins, some members may argue that the bill has been allocated insufficient time. Arguing about lack of time can sometimes be genuine, and sometimes be a useful proxy for MPs not wishing to publicly express their objections to the bill itself. Ultimately, without the ability to amend, MPs are faced with a stark choice between accepting the programme motion, and voting against it. Without a programme motion the bill would face major difficulties. Notably, in 2012 the coalition’s House of Lords Reform Bill faced certain defeat on its programme motion, resulting in the government withdrawing the motion, and ultimately abandoning the bill. If the government faced serious pressure over the programme motion on this bill it might choose to table a new motion allowing slightly more time – though this would not allow the bill to complete its Commons stages before the ‘half term’ recess which starts on 10 February. Retaliating against such critics, the government could offer more time at the price of cancelling or reducing the recess, although this would still mean the bill did not reach the House of Lords until after the recess. The bill’s committee stage is the point at which amendments are considered and may be voted upon. The list of amendments is already long, and certain to get longer. It may seem surprising that 80+ pages of amendments can be proposed to a two-clause bill which itself fills less than half a page, but the majority of amendments comprise proposed ‘new clauses’, which would add matters to the bill. In particular, many add conditions which must be met before the Prime Minister triggers Article 50. 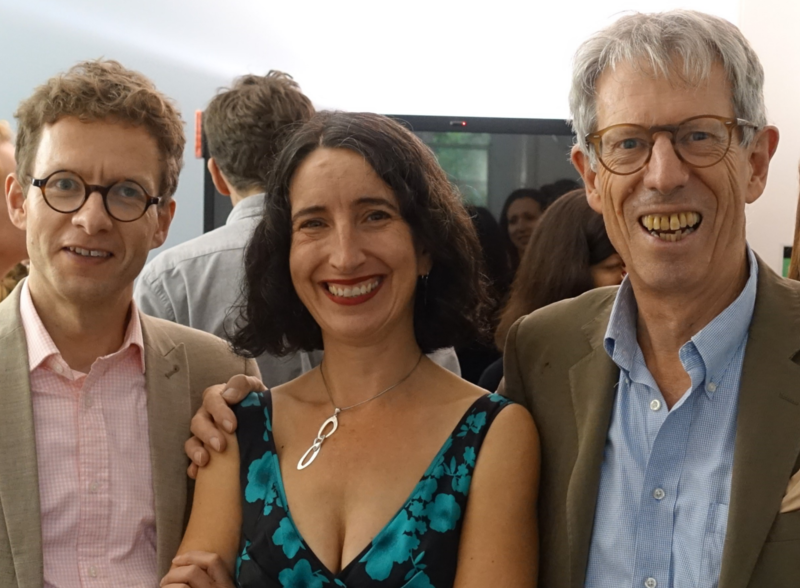 For example, the Labour frontbench proposes that the government must pledge in advance to update parliament regularly on negotiations, to publish impact assessments, to protect the rights of EU nationals resident in the UK and UK nationals resident elsewhere in the EU, and to maintain all workers’ rights currently derived from EU law. Many other proposals, from groups of backbench Labour MPs and representatives of other parties, make similar and related points. Other proposals include a requirement to hold a second referendum before the final deal is agreed, a requirement to consult and reach agreement with the devolved administrations, and proposals to make commitments regarding trading arrangements and the single market and to pledge continued co-operation with the EU on matters such as foreign and security policy. 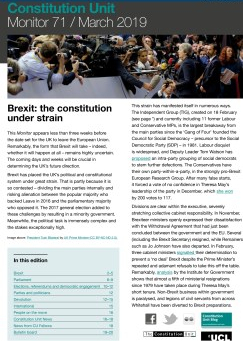 Not all amendments will be selected for debate, and some may be judged to be beyond the ‘scope’ of the bill – which is judged partly on the basis of its ‘long title’ (in this case, to ‘Confer power on the Prime Minister to notify, under Article 50(2) of the Treaty on European Union, the United Kingdom’s intention to withdraw from the EU’). The bill also lacks a ‘money resolution’, and amendments with significant financial implications (perhaps, for example, those committing to an additional referendum) may be considered out of order for that reason. Decisions on which amendments are eligible for debate in Committee of the whole House are taken by the Chairman of Ways and Means (senior Deputy Speaker), Lindsay Hoyle, with advice from neutral Commons clerks. Votes on some amendments seem inevitable, and if sufficient forces can unite against the government on any amendment, defeats could occur. Faced with the prospect of defeat, the government will often prefer to concede. It has already done so repeatedly on Brexit-related matters – for example accepting a Labour motion to publish its Brexit plans before triggering Article 50 in December, and only last week giving in to demands for a White Paper. The government may hence decide to accept some of the more innocuous amendments (e.g. agreeing to regular parliamentary updates) rather than risking backbench rebels siding with Labour. How far it can be pushed remains to be seen. Following the committee stage, the Commons will move directly to third reading (omitting the usual ‘report stage’ because the bill was taken in a Committee of the Whole House). At this point MPs are asked to approve the bill as a whole, including any amendments from the committee stage, in order that it can be passed to the Lords. Notably some Labour frontbenchers, such as Shadow Business Secretary Clive Lewis, have indicated that, while they will follow the whip and vote for the bill at its second reading, they reserve the right to vote against the third reading if it is not adequately amended. Many MPs are clearly facing agonising decisions about how to respond to the bill. It illustrates in a very big, and very high-profile, way the kinds of dilemmas that MPs constantly face in their representative role. For centuries a tension has been recognised between what Edmund Burke famously identified as the alternative roles of ‘delegate’ or ‘trustee’. Trustees follow their own conscience, weighing up the arguments in what they consider the best interests of the nation; delegates instead follow instructions from their voters. In modern politics MPs also face a third pressure: to follow the agreed position of the political party which they represent. On the latter point, in the run-up to June 2016 the leadership of both main parties favoured remaining in the EU. Now both will be whipping in favour of triggering Article 50. Many individual MPs will personally still believe that Britain would be better off staying in the EU; but many nonetheless will feel the need to listen to the voters. 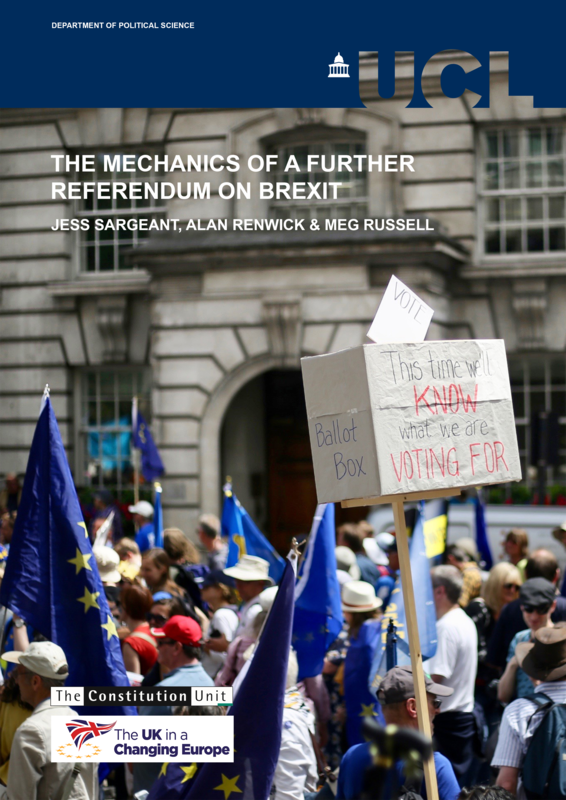 Here there are difficult tensions between competing models of democracy – many MPs, and certainly most Leave campaigners, believe that the wishes of the people as expressed in a referendum (i.e. ‘direct democracy’) should trump the wishes of individual parliamentarians (i.e. ‘representative democracy’). 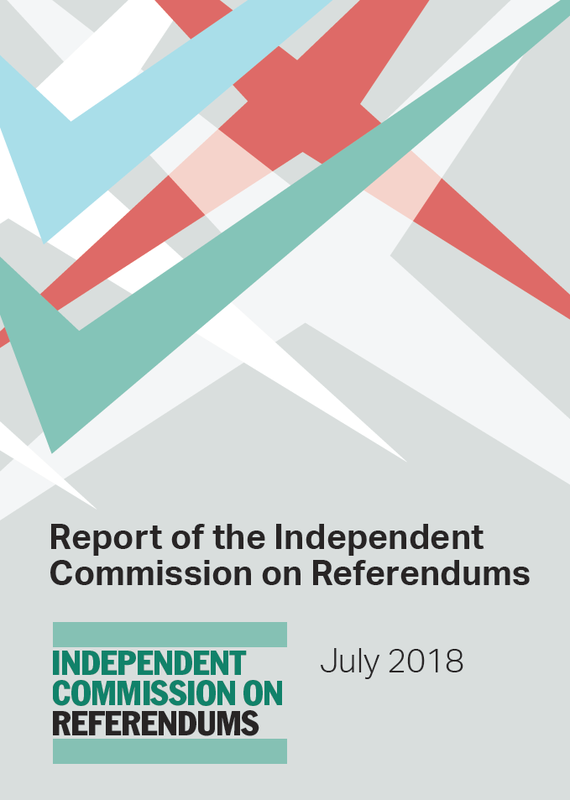 But even where MPs seek to follow the views of the voters, there are different interpretations of which voters they should prioritise – for some there is a tension between the national and local referendum results. For example several Labour frontbenchers representing constituencies that cast a majority vote in favour of staying in the EU have stated their intention to break the whip, and some have already resigned their frontbench roles to do so. This might be seen as sensible, pragmatic politics – such MPs could face an electoral backlash if they reject their voters’ positions. But actually, even some Labour MPs from pro-Leave constituencies could face such backlash if they toe the party line, since around two thirds of Labour voters are thought to have supported Remain – and it is these voters that such MPs most rely upon. Meanwhile, Jeremy Corbyn has an eye on the forthcoming Stoke-on-Trent Central by-election – where Labour fears losing a seat that voted 65 per cent to Leave. Some Conservatives also face clear dilemmas – either because they personally supported Remain, or because they represent pro-Remain constituencies. While relatively few MPs (and almost certainly a minority) will weigh up the pressures and choose to vote against this bill as a whole, many may take more nuanced positions by supporting amendments and/or pressing for more time. Significant media attention has recently focused on the challenges that a bill such as this might face in the House of Lords, where it is assumed that an even higher proportion of members would personally favour continued EU membership. Speculation became so heightened that Lord Speaker Norman Fowler stepped into insist that ‘peers will not sabotage Brexit’. In reality, as ever, the Lords is likely to take its cue to a large extent from the elected House of Commons. If significant issues are aired in the Commons which are not adequately resolved (and particularly if concerns are expressed by the government’s own backbenchers), peers may pursue those issues through amendments. The likely timetable for Lords consideration was announced by government Chief Whip Lord Taylor of Holbeach yesterday, and comprises two days for second reading, two days for committee stage, and an additional day for report and third reading – with all stages planned for completion by 7 March. This is a significant speeding up of the usual Lords timetable for bills, and indicates a cooperative approach from opposition leaders in the chamber. Nonetheless, Lords business can be unpredictable, particularly inasmuch as all amendments are liable for debate, as there is no ‘selection’ of amendments as in the Commons. In addition, of course, the government lacks a majority in the Lords. If the Commons passage is trouble-free, the same may apply to the Lords. But if the Commons proves troublesome, the Lords offers ministers significant additional challenges. Nonetheless, claims of a major battle between the government and peers over Brexit seem far-fetched. In particular, suggestions from anonymous government sources that trouble in the Lords could see the bill amended to include a clause allowing for that chamber’s abolition are complete constitutional fantasy. First, it is hard to imagine such a clause being judged as within the scope of this bill. Second, even if this were possible, adding clauses on Lords reform to any bill is the very last way to get change in a hurry! Professor Meg Russell is the Director of the Constitution Unit. 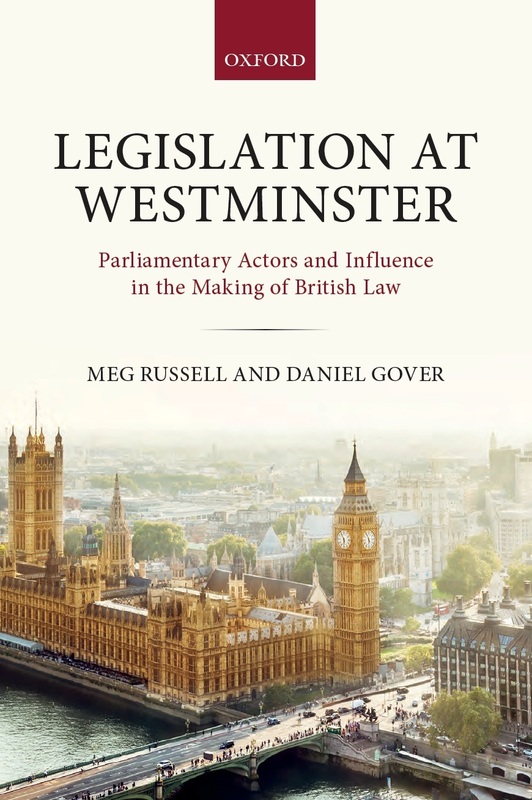 Her new book, Legislation at Westminster (with Daniel Gover), is due for publication by Oxford University Press in summer 2017. This entry was posted in Europe, Parliament and tagged Article 50, Brexit, committee of the whole house, European Union (Notification of Withdrawal) Bill, House of Commons, House of Lords, meg russell, parliamentary procedure, programme motion, second reading. Bookmark the permalink.